Home News Bitterness but unbroken hope! Two days have passed since the derby defeat, and it is not easy to raise your head again after 3 years that you do not win a Serie A derby against Inter. I will try in this article to summarize the derby and raise your morale rossoneri, also give you certainty that champions league spot is still possible and why not even the third place! Moreover, let’s recap what happened at the derby. 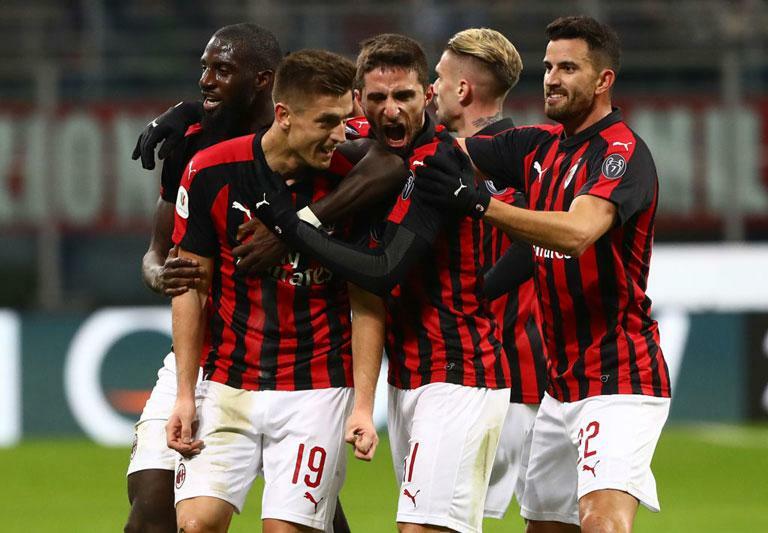 Milan suffered an early disadvantage with a goal from Vecino (goal has upset Gattuso’s plans), then Milan during the whole game tried to react but unfortunate episodes like the doubt penalty given to Inter and the last two final occasions of Castillejo and Cutrone did not allow to remedy a heavy defeat. Additionally, analyzing why we lost I can summarize what I saw, a shaky defense and we didn’t have control in the midfield, too much confusion. In attack Suso never turned on, Piatek hardly ever touches the ball, there was lack of creativity but the desire was there. I liked Bakayoko and Hakan performances, Samu entered well in the match alongside Cutrone. Further, a particular episode of the match was the heated argument between Biglia and Kessie. All started because Kessie was particularly upset with Gattuso for subbing him out and Biglia told Kessie to show more respect towards Cutrone and the team and that’s where the argument escalated, then Kessie was also heated by the racist chants from the Inter supporters. However Biglia and Kessié apologized because of their behavioir, showing respect and a great behavior. Kessié and Biglia apologizing to the supporters, the team and the management. According then to Gattuso: “The biggest defeat was what Kessie did. They respond, then I will respond too. For how I see football, this can’t happen. There should be respect for everyone. It’s not a nice scene to look at. It’s my responsibility. Today was a double defeat”. However, Gattuso and the team reacted very well, they gave all but was just not lucky. The derby defeat was the first defeat in 2019, the first defeat in Serie A after three months and it is not all to be thrown away because Milan finds itself with 4 points ahead of Roma and with a position of advantage over the others in reaching the goal of fourth place. We must stay calm, wait and it will be two difficult weeks. There will be Inter who plays against Lazio, Roma against Napoli, but Milan will play against the Sampdoria (team in form), so these two weeks will serve to reorganize the ideas and the group where we must not forget what Milan did well till now. I will suggest Rino to switch to a lineup where Paquetà can get more involved in the attack maneuver, a 4-2-3-1 where he can be the CAM or the 4-3-3 simply moving Hakan in the midfield, maybe with this movement Piatek can be served more in the area and the team can score more goals.I will rest Suso for Samu, Suso is not in form and Samu every time he enters the match gives electricity! In conclusion, we have a united group, players who feel the jersey and a coach who will never give up. We must appreciate what we have done and keep up against where we need to improve. The guys can do it, they have the strenght and capabilities to do it, even if it’s hard after a derby loss, but we are on track to reach the objective of the Champions League spot. There is bitterness but unbroken hope! Let’s focus on winning against Sampdoria. Let’s move on rossoneri! FORZA MILAN NEL BENE E NEL MALE! Previous articleMilan vs. Inter Preview + Livestreams! !